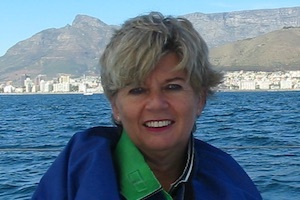 In 2005, on her return from Ireland and several attempts at other career choices, Janit O’Connor-Pretorius was drawn back into the tourism industry and on the spur of the moment decided to start her own Company again and thus, Africapass was born!Renate van den Elzen had recently moved down to the Cape where one evening they reconnected with one another. After several chats about this industry that they had both become so entrenched in over the years, Renate agreed to join forces and so they developed their small, niche company. As the company’s two directors, they have almost 80 years of cumulative experience in the international tourism market. They have an in-depth knowledge of Southern Africa and enjoy creating unforgettable journeys that remain indelibly imprinted on their travellers’ souls. My love for travel began as a child when our family travelled to Europe. I loved the history and antiquities and so a spark was ignited. Subsequently, I have visited over 65 countries and have spent many years in various tourism and travel sectors. I never tire of travelling to new and different places and back to many of the old favourites. I started out in the hotel industry at the iconic Carlton Hotel in Johannesburg, moving into the tour operating business when trying to put Chobe Game Lodge back on the map when it reopened its doors in the 80’s. I was the founder director of a small specialised tour operation, which I ran for over thirteen years. I then branched into the B&B market, running my little guesthouse for several years before moving to Ireland. My jobs at Sabi Sabi and Chobe paved the way for my passion of the bush and at every opportunity I go and enjoy the peace, sounds and smell of the African wild. Born in Austria, I started my career in the Southern African inbound travel industry in 1975, discovering my love for travel. Having gained invaluable experience with Holt, Bosman and Gennrich, I then joined Wilson Collins Travel in 1979, one of the most upmarket inbound operators. There I successfully developed their inbound business, especially fromthe German speaking countries and the Far East, working my way up to Managing Director. During my 25 years with Wilson Collins Travel, I actively participated in the development of the Southern African inbound tourism sector and made my vast experience and knowledge of the industry available to my colleagues. Having enjoyed my sabbatical after leaving the Tourvest stable, I joined the young and innovative Tour Operator, Africapass, where we have grown this business over the last 10 years. 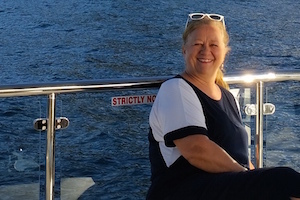 I have been in this industry for over 40 years and still love travelling.